When was the last time you cleaned your makeup brushes? If you have to think about it, it’s probably been too long. 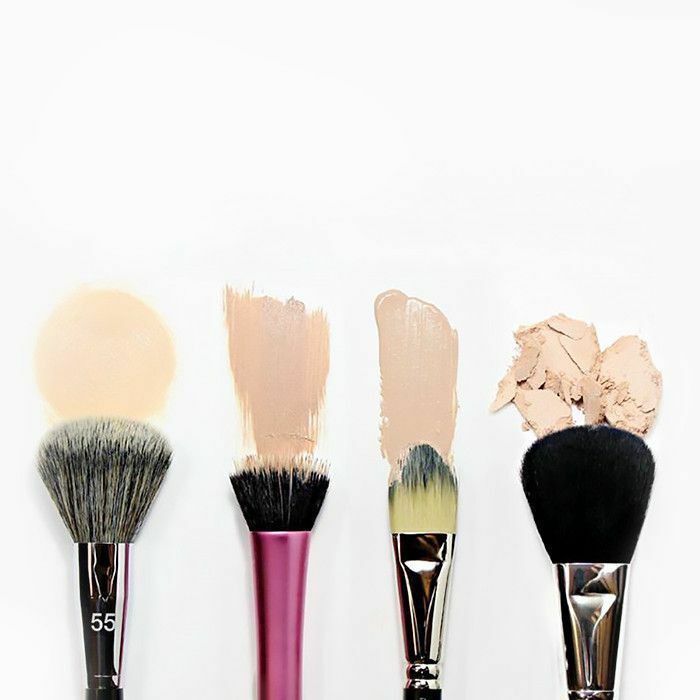 According to senior makeup artist at Antonio Prieto salon, Kristine Cruz, to avoid bacteria, dander, and old makeup buildup, you should deep clean your brushes every couple weeks. Since I was way past due for a brush cleaning, I decided to make my own DIY makeup brush cleaner with the help of Pinterest. While it crossed my mind to buy a brush cleaner, I decided against it when I realized it meant running to the store and dropping $15 on what is essentially soap and water. So, instead, I went to the best place on the web for a good DIY recipe, Pinterest. With many homemade brush cleaners to choose from, I decided to test out three different recipes based on reviews, and the ingredients I had in my kitchen. After all, the whole point of a DIY is not having to run to the store, right? To see how well Pinterest’s most popular DIY brush cleaners performed, keep on reading. The first DIY cleaner I chose to try was a Castile soap–and–witch hazel combination. While the recipe wasn't very precise on proportions. I used one container of Thayers Alcohol-Free Rose Witch Hazel ($11) and a couple drops of Dr. Bronner’s Unscented Baby-Mild Pure Castile Soap ($16). I combined the two in a clean spray bottle, shook up the mixture up, and started spraying my brushes. After giving each brush a spray, I gently wiped off the cleaner with a paper towel. Much to my delight, and disgust, a ton of product and quite possibly bacteria transferred onto the towel. While I would say I am a fan of this technique (I prefer spray bottle cleaners as brushes tend to dry faster), I wouldn't recommend this DIY recipe for a deep cleaning, as I have seen my brushes cleaner. However, I do think this would come in handy when switching between different colored shadows, blushes, etc. I'm not so sure you can actually call this a DIY, as the recipe for this brush cleaner consists only of Castile soap (a pure chemical free soap) and tap water. However, the simpler the recipe, the less it costs, so I figured why not give it a try? While the instructions say to dip your brush in a small bowl of Castile soap and rinse, I found a solution of the soap and water mixture was easier to swirl my brush in, and was much more effective at removing left over product and bacteria. While I found this recipe a bit more effective at cleaning my brushes than the witch hazel spray I previously tried, it did take much longer for my brushes to dry. The last DIY makeup brush cleaner I tried was a combination of the first two, in that in combined Castile soap, water, and witch hazel. The recipe is as follows: half a cup of witch hazel, two tablespoons Castile soap, one teaspoon nourishing oil (I used Now's Grape Seed Oil ($8)), and one cup distilled water. After combining all of the ingredients in a bowl, I swirled my brushes around in the mixture, rinsed them out in the sink, and wiped them dry. While this recipe left my brushes very wet (I had to let them dry overnight), come the next morning, my brushes were noticeably cleaner and super soft. Needless to say, I have found my go-to brush cleaner. Next up: 4 DIY mask recipes to bring your dull, dehydrated skin back to life.